CLOSEOUTS. 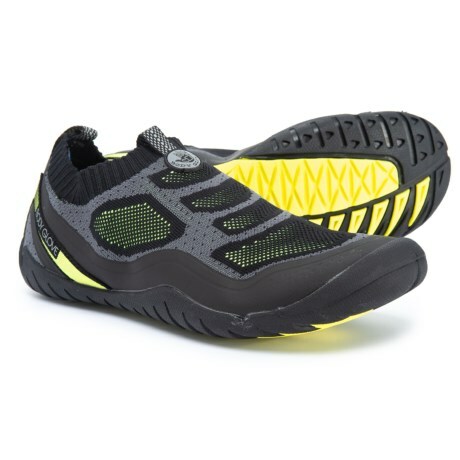 Crafted with and Integrated Drainage System, Body Glove Aeon water shoes drain quickly and cool the foot out of the water with breathable air circulation. Available Colors: BLACK/NEON YELLOW. Sizes: 8, 9, 10, 11, 12, 13.